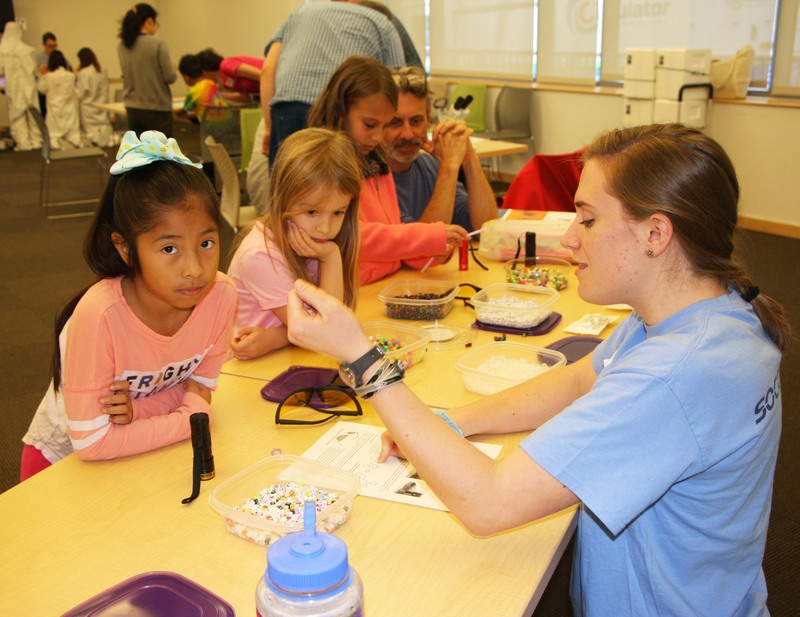 On October 13th, RTNN honored National Nanotechnology Day at the Chapel Hill Public Library. Visitors were invited to explore science at the nanoscale by participating in a variety of hands-on activities. 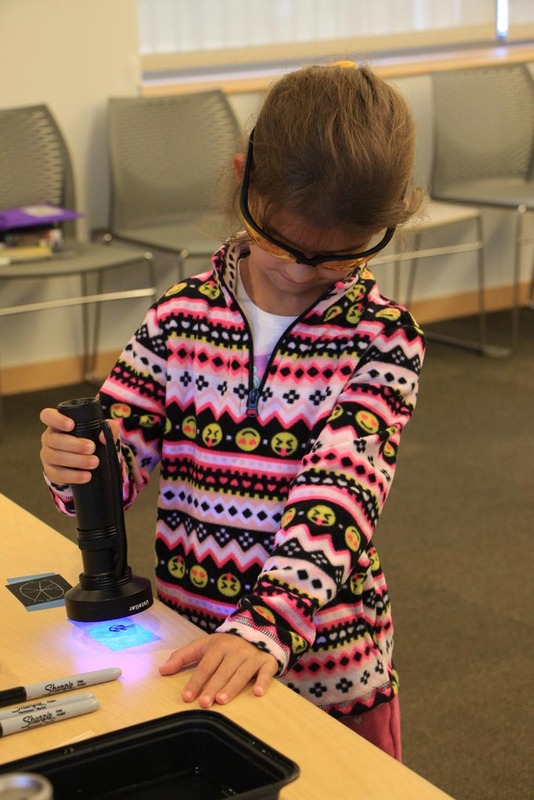 Library patrons tried on clean room suits, made “nano” ice cream, designed photomasks, examined samples with light microscopes, and more! 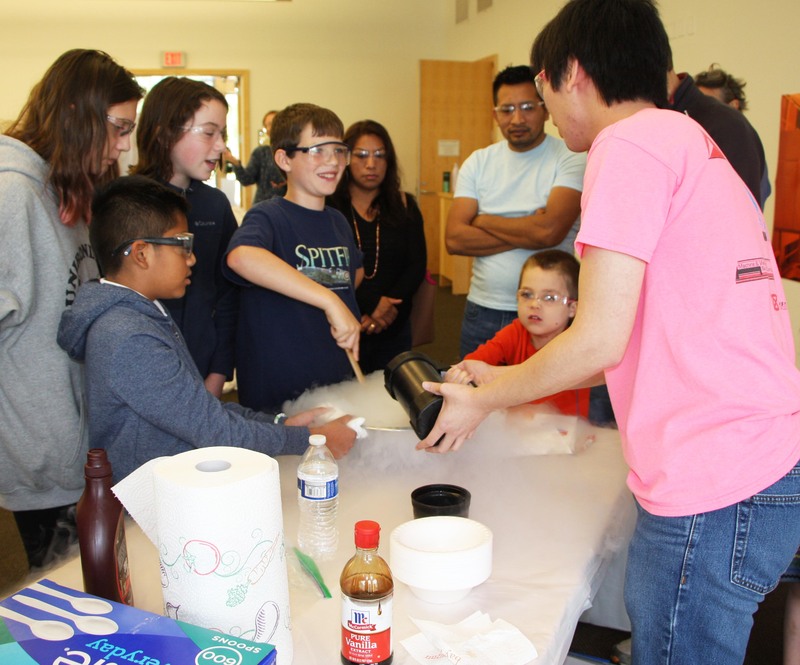 Participants and volunteers had a blast celebrating the nanometer and learning from each other. The RTNN will return to the library in April 2019 with a scanning electron microscope in tow during the North Carolina Science Festival. Come grab a bowl of Howling Cow Ice Cream and join us for the inaugural talk in the AIF Seminar Series. Dr. Josh Kacher, assistant professor in Georgia Tech’s Materials Science and Engineering department, will present advances in localized strain mapping (abstract below). The AIF Seminar Series is designed to be informal, interactive, and fun. There will be plenty of opportunities to discuss science and network. Please RSVP here by July 28, 2017. “Diffraction-Based Multimodal Image Acquisition and Strain Mapping in the Electron Microscope” Advances in electron detector technology, including the advent of direct-electron detectors, and increases in computational processing capacity have transformed electron microscopy-based characterization into a big-data analytics tool capable of multimodal image acquisition and high-resolution property mapping. This includes the ability to post-experiment select desired imaging conditions and map out the three-dimensional elastic strain tensor, crystal rotations, and dislocation density at length scales ranging from nanometers to hundreds of microns. Increases in electron detection efficiency available from direct-electron detectors also allows multimodal image acquisition to be coupled with in situ electron microscopy experiments such as heating, straining, and exposure to aggressive environments. Central to these advances is the development and application of scanning nanobeam diffraction techniques in both scanning and transmission electron microscopy. This talk will review recent advances in multimodal image acquisition and property mapping with a focus on two materials applications: relating microstructure to strain localization in metal alloys and characterizing strain gradients in compositionally graded ferroelectric thin films. Want to know more about the Kacher Lab. Visit the lab website.